Butterflies are one of the planet’s most amazing animals. 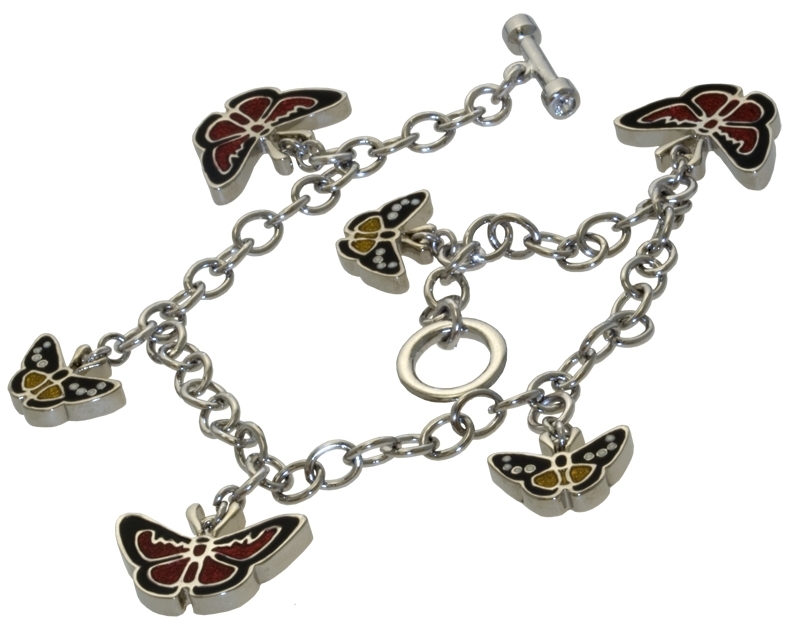 This charm bracelet is inspired by the collection at the Natural History Museum which holds about three million specimens from locations all over the world. Many of them symbolise incredible stories of human endeavour, collected in the most difficult conditions. V&A Jewellery - This varied range is taken from a beautiful Prussian earring design, in very delicate cast iron resembling a lace pattern, dating from 1815-51. V&A Jewellery - This piece is inspired from an object in The Victoria and Albert Museum, London. V&A Jewellery - Inspired from a necklace and earrings possibly made in Italy between 1666 and 1699. V&A Jewellery - Butterflies - this varied range is taken from a beautiful Prussian earring design, in very delicate cast iron resembling a lace pattern, dating from 1815-51. V&A Jewellery - This necklace is inspired by a French necklace made in the 19th century, around 1810, which is mounted with hardstone mosaics of butterflies probably made in Florence, Italy. This varied range is taken from a beautiful Prussian earring design, in very delicate cast iron resembling a lace pattern, dating from 1815-51.